LOCATION: Calle Echedey, 18, Tiagua, Lanzarote. HOURS: Mondays to Saturdays 10 a.m. to 5:30 p.m., Saturdays 10 a.m. to 2:30 p.m.; closed on Sundays. PRICES: € 4 for visitors and € 5 for residents. 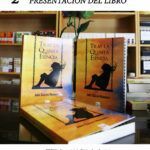 INFORMATION: +34 928 529 134. An escape out of despair. In 1845, some farmers from Tiagua, who had no options for the future, asked the Marquis de la Quinta Roja, Francisco Ponte, for permission to cultivate some virgin lands on his property. 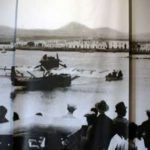 A century later, in 1947, the estate became the great agricultural area of Lanzarote. More than 25 farmers broke their backs working the land, helped by more than 20 camels, to move the agricultural products to all points of the insular geography. 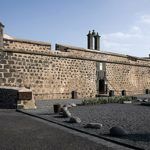 In the late 1980s, a group of people came up with the idea of transforming this large estate located in Tiagua into the ethnographic center of Lanzarote’s culture and traditions. Their efforts to achieve this came to fruition on January 15, 1994. On that day, at ten o’clock in the morning, two German couples from Frankfurt were the first to experience this trip in time, about life on the island in the past centuries. The ethnographic museum is located in the old manor house. The materials on display are very well organized and there are simple explanations at every station, which allow the visitor to understand those hard times. The photographs that complement the exhibit give testimony to the use of the volcanic soil for produce: mainly onions, potatoes, tomatoes, and corn. The museum features mainly pottery, ceramic work and other artisan creations such as the typical roseta embroidery and pieces of clothing that belonged to the old farmers. 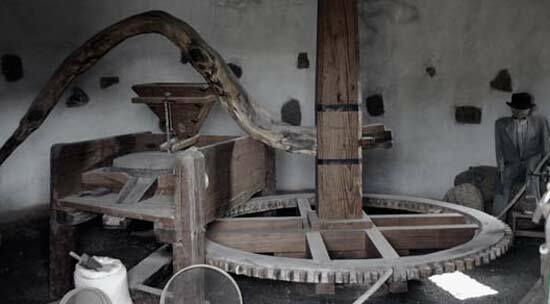 The press is still maintained as it was, which makes us appreciate the genius of the old times to make the roasted grain flour locally known as gofio. 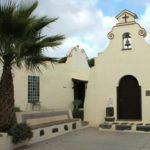 The Bodega [warehouse], the Tahona [bakery] and the Capilla [chapel] are in similar condition, although some information allowing us to understand their function is missing. On the other hand, there are plenty of explanations in the old farmer’s bedroom. The beds speak for themselves, with a spittoon to avoid going out to the cold patio where the toilet was, a small night table and the image of the Virgin Mary guaranteeing good rest. The great interior patio that connects all the strategic points of the museum must have had a prominent place in the social life of the workers. It seems ideal for some rest in the shade, playing games and partying whenever work allowed it. The rooms have been kept meticulously, which makes the stay at the museum feel natural. 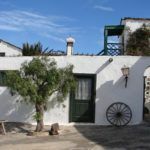 The management of El Patio has also put a lot of effort in maintaining the flowers, the gardens and the large agricultural area behind the ethnographical museum in great conditions. Having concluded the visit to the museum, we continue with the second part of the stay: the main garden of the old manor house, the windmill and, around it, the slow and random ambling of the house chickens. To top it all off, El Patio offers its visitors an aperitif of Malvasia wine accompanied by a delicacy of the earth. You can enjoy this treat at the Bodegón, which has a spacious terrace with large tables and benches. In our case, on this September day in 2007, it consisted of toasted bread spread with chorizo chacón sausage, and washed down with some nice Malvasia wine. What to do before and after: A few miles away by car you can have lunch at Monumento al Campesino. 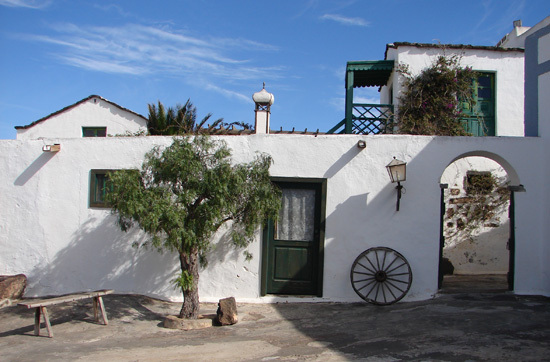 You can have a cup of coffee or tea in the neighboring village of Teguise at Cafetería Cejas or at Hespérides.